The Great Barrier Reef is recognised for it’s amazing beauty and the huge amount of wildlife it is home to. The reef and its surrounding areas are one of the most complex natural systems on Earth. In and around the waters of Australia’s reefs, there are well over 10,000 species of animals and most are unique to Australia. 2018 is the International Year of the Reef and as part of these celebrations, everyone is encouraged to consider actions they can take to reduce the impacts of warming ocean temperatures and broader climate change effects on reef ecosystems. The theme for this year’s Science Week is Game Changers and Change Makers. One of these Game Changers that has been involved in looking at marine life for many years is Sir David Attenborough. 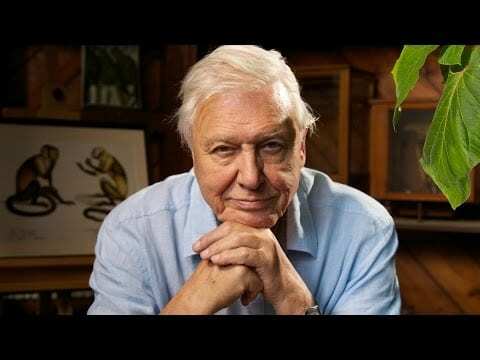 Sir David Attenborough is an English broadcaster and naturalist who has been documenting wildlife since the 1970’s. Here is a video that celebrates all of his amazing achievements over his career. For an awesome turtle’s eye view of the reef, watch this video. Here is a short video about Australia’s Great Barrier Reef, narrated by Sir David Attenborough. For Science Week, we are asking all of the students to make a model of a reef animal to help celebrate the amazing diversity there. This model has at have at least one moving part. We are asking that they make this model together with their buddy. They can work individually with your buddy, or in groups or even make one big model as a class! To help celebrate Science Week and the International Year of the Reef, we will be hosting a whole school assembly on Monday 20th August at 2.30pm where the students will share their creations.